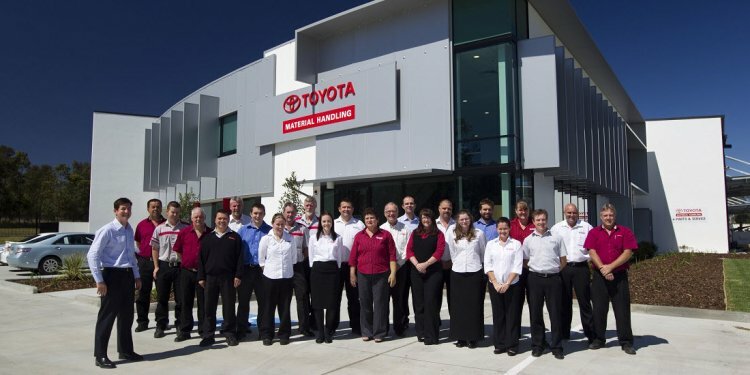 Toyota Material Handling Australia's Gladstone branch has moved to larger premises, increasing its customer support capability and confirming TMHA's commitment to the region. The new branch facility offers the full TMHA range of Toyota, BT Lift Truck and Raymond product, as well as Toyota's comprehensive Huski skid-steer loader range. Service vans based in Gladstone cover a huge area: north to Rockhampton, south to Maryborough and west to Emerald. Gladstone branch manager Steve Anderson said the new facility at 19c Bensted Street offered a substantially larger workshop area and increased warehouse space for a wide range of spare parts. "The new, larger workshop area means we can bring in forklifts for any major service, " he said. "Our earthmoving customers can have their Toyota Huski skid-steer loaders serviced in our facility." Mr Anderson said Toyota had a long history of customer support for Toyota forklifts and Huski skid-steer loaders in the Gladstone region, initially by service vans based in Brisbane. "Toyota has had 'men on the ground' in Gladstone for the last five years. "The branch has its own fleet of fully equipped service vans, staffed by the best-trained forklift and Huski service technicians in the industry." He said the TMHA Gladstone branch has a large fleet of rental forklifts. "Our Huski skid-steer customer base is growing as local earthmoving and concreting companies become increasing aware of the reliability, durability and ease of operation of the Toyota product."